Our 90-hour, comprehensive Certified Residential Mold Inspector (CRMI) course contains lessons on how to inspect for mold on residential property. You will learn how to identify and assess mold damage, how to collect samples, and the recommended remediation protocols. You will also learn how to report on the presence of mold using national standards of practice. This in-depth, 15-lesson course will help you learn the skills and knowledge necessary to start a mold inspection career. 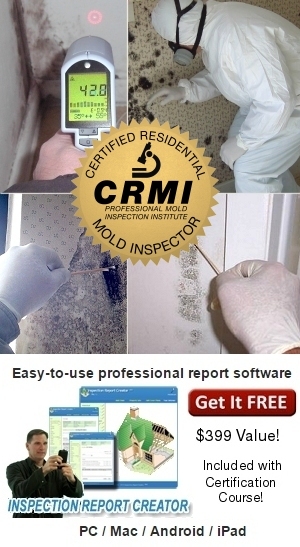 You will not only learn about mold, but how to inspect and write up your reports. You will learn about how mold affects the human body, which kinds of molds are dangerous, how to submit samples to a laboratory for analysis, and much more. The course includes a 2-hour mold DVD also available online, that takes you through a complete mold inspection as outlined in the course. You can use the provided report templates to create reports for your clients or use the free mold report software we include with the course. 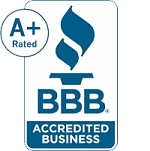 When you finish the course and pass the final exam, you will be a Certified Residential Mold Inspector (CRMI) and possess the knowledge and skills needed to start a full or part-time business. Online Course Access and optional back-up CD, Mold Inspection DVD, Report Templates, Online Flashcards & Testing, CRMI Certificate,Toll Free Student Support.